A VERY HAPPY NEW YEAR TO YOU! I am thankful for everything in 2012 regardless of the outcome. A lot of lessons learnt, successes put into action and challenges built upon. I am INspired and guided by new opportunities for Baby Boomers in all areas of work and life.You appreciate products and services that match and complement your lifestyle and experiences with meaning. This is what you are most passionate about. 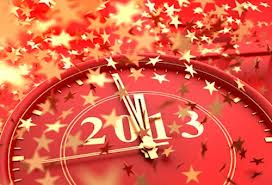 It is likely in 2013 you will see hashtags for example, #Digitalhealth and #BoomerBooks in the media. You are in for a revolutionary time which should make your life easier and happier. Unemployment and recession is likely to ease. There is hope for a better year economically. In many parts of the world boomers are still concerned about pensions, savings and work. Will this change? Hopefully. 1.The Workplace:The rise of mentorship programmes, Social media training & Skills. 2.Social Media Expansion: Explosion of interconnected niches within networks, Stories as content, integration social media with smartphones and ipads(Twitter lead the way), streamline information, 3. Working Longer: Planning home and work careers, Work business opportunities, Collaboration with like-minded people. 4. Social media Movement: #Empowerment (hashtags galore), Online/offline connections 5. Wellbeing: e.g. Brain fitness-technology at the forefront, Ageless health, Inspiration as wellness. For more Read “Baby Boomer INspiredGuide Trends 2012”. Do you want to know how healthy you can be? Health is going high-tech in many significant ways. 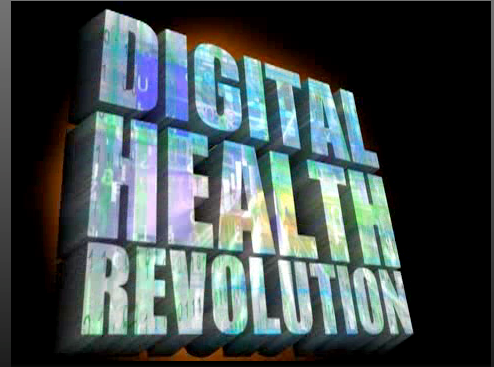 This is the next revolution that combines digital technology devices ( e.g.apps) with health. Mainly use for diagnostic and preventative health. Health will be seen like “Luxury goods” the symbol of wellness engineered by mobile products. 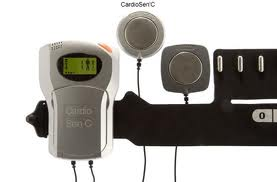 The development of medical smartphones like you have never seen before. Mobile fingerprinting for identifying and analysing data. For example, You could be identified by your mobile number. The age of the super stress has arrived. Concerns about rising living costs, governments cuts, employers lower pay for more hours, may course serious health problems.The use of digital tech to monitor your stress or reduce it. The Chinese for example use nature to beat stress. Health and happiness will be monitored as one thing. Survey conducted in the US and UK confirm this connection. You cannot have one without the other. This is nothing new. But we are living in different times. More and more people are seeking happiness rather than satisfying their needs. Examples is found in books i.e Happiness Diets-Tal Ben-Shattar, Positive Psychology Dr. Martin Seligmann’s; Flourish a personal favorite of mine. Appscription will be become more common. It is used for managing and monitoring health and wellbeing. For example, Drs will start prescribing apps and other digital tech as part of a treatment. Imagine receiving an app reminder about your appointment or results. Apps for yoga and meditation is growing as a health and spiritual practice. How innovative do you want to be? Baby Boomers are starting innovative start-ups faster than their younger counterparts. 54-64 boast the highest rate of entrepreneurship with 47% maintaining social media presence. www.Getold.com Pfizer campaign on “getting older and living better”; Found that most baby boomers expect to retire around 64 years but some may retire or continue working up to 84! The “Entrepren-ovation” of boomers have never been more active. Its possible because health may be the next surge of innovation. Baby Boomers have the disposable income more than their younger colleagues and are taking advantage of the opportunity. The rise of new products and services for independent thinkers. Baby boomers are interested in innovation that can reduce any physical limitation and promise them good health. If you are developing a new product now is the time to try to sell it. Get on board. There is revolving door career between independent work and traditional employment. This will become a career positive for employers and boomers. It is the mix and match between two worlds; Entrepreneurship and traditional employment. There is a move between full-time and contract gigs to career reinvention from late stage experts retiring from traditional work and starting solo professional firms is on the rise. Collaboration in the workplace on work policies could see the influence of baby boomers affect the younger generations working hours. Some Baby boomers commonly worked 60 hours a week; Younger workers may not comply with it. Cuts will bring a more open-minded workforce to work together. There will be a compromise on how to achieve goals with less working hours. Miro-Innovation will be big business. 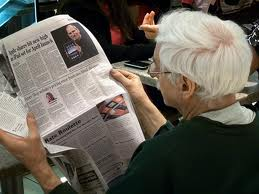 Flexibility is attractive to baby boomer who want encore careers and alternative ways of working is on the way up. Where is social media heading? This the million dollar question. From changing content to blogging, social media to new social media. Most of the trends point to social media platforms morphing into unexpected development and services. I believe it’s the beginning. However I wish for a niche social media baby boomer platform. Afterall there are 77 million in the USA. Maybe someone would exploit this gap soon. There will be shift in how the social media platform is used. Trend to invest time and energy effectively. The rise of Pinterest is a high source of traffic-its visual, new and its effective marketing. For example maybe your business works well with Pinterest/Twitter/LinkedIn. Or you can choose to mix and match later when you are getting results. In the 2012 trends I said that Twitter would be the social media platform to watch. This will continue.The new partnership with Nielson is important to Twitter’s growth. Twitter is integrating TV experience to unlock new content mainly provided by viewers effortlessly. It is the third screen TV revolution. Also TV polling, ratings and voting is important to twitter’s brand much more than advertising. However mobile growth trend will continue. The other big area is the movies/DVD industry. Twitter has proved a hit with news, politics, sports, disasters and more. Do you crave for a simpler life? What Baby Boomers need now is a world that will bring them comfort without pain. Product and services that focus on this area will win. Baby boomers like tradition mixed in with style. Measuring lifestyle will give the answers on how to live better longer. Baby boomers moments want to be captured visually and kept for their family especially grandchildren. Predictive personalise brand data analysis will be used for assessing behaviour for needs and wants than tailor offers and communication for baby boomers buying habits. Data will be collected and personalise to suit the service or person. For example British Airways collect data on VIP frequent flyers to help make their lifestyle easier and provide good service. Grey Divorce is on the rise. This means that there is a new kind of Boomer romance. This consist of boomers who have not dated other people for 40 years and want to start dating. Technology is the biggest change boomers will face. For instance, digital technology involves countless of apps from smart phones and ipads. Something boomers never imagine. When older Boomers retire they realise that they may have more years of their lives to enjoy life. Recently, ARRP started a new dating website called www.howaboutwe.com. This is aptly conversational which most boomers will be comfortable with. The trend is also towards Self-development and dating seminars for boomers to improve on their relationship skills and personal development. Are you are reader or writer? Baby boomers are continuously redefining the concept of aging with unexpected surprises. From Hollywood to the rise of literature, Boomers are bringing excitement in a time when not only are you healthier and living longer better. It could be the rise of new products and services for a new age of independent thinkers. Baby boomer literature is the next big genre. Boomers want to read things that concern their lives. For example, fiction, non-fiction Inspirational self-help and more. 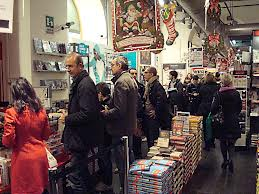 Go to www.Goodreads.com and examine the array of boomer books for your entertainment. For example a book called “Thursdays in the park”-its about a grandmother finding new love. While the publishing industry has been slow to catch on, Hollywood is churning out films on Baby Boomers.This trend will continue. For example a film about the British in India “The best Exotic Marigold Hotel” is one of the highest grossing films in 2012. It’s about british retirees romping about in India. Another film called “Quartet” is about retiree musicians in a retired home. There is a trend shifting towards thinkers/futurist writers to explore possible worlds in which we might live from now. Most baby boomers are concerned about their children and grandchildren. They want them to live in better times.The rise could bring a new thoughts for services and products to help others live their best life. What are your trends for 2013? Are any of these trends appealing to you-which ones. Please leave a comment.